Superdry women's Helena top. 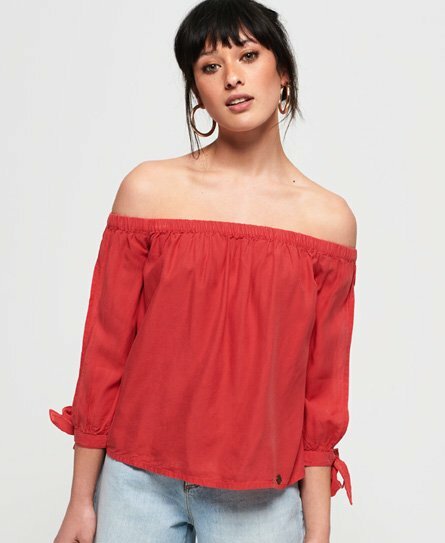 This is an ideal piece for your summer wardrobe, featuring an off the shoulder design, elasticated neck line and tie detail on the cuff. Finished with a metal Superdry badge on above hem.